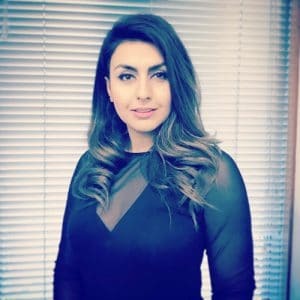 The Irish building ‘BIM Around the World’ Series meets Dr Sonia Zahiroddiny, BIM Strategy Manager at HS2 Ltd. Sonia talks about BIM on the High Speed 2 project, BIM in the UK, the construction industry, and the 2017 CitA BIM Gathering. High Speed 2 (HS2), the United Kingdom’s planned high-speed railway is to be the new core of the national rail network, linking London, Birmingham, the East Midlands, Leeds and Manchester. 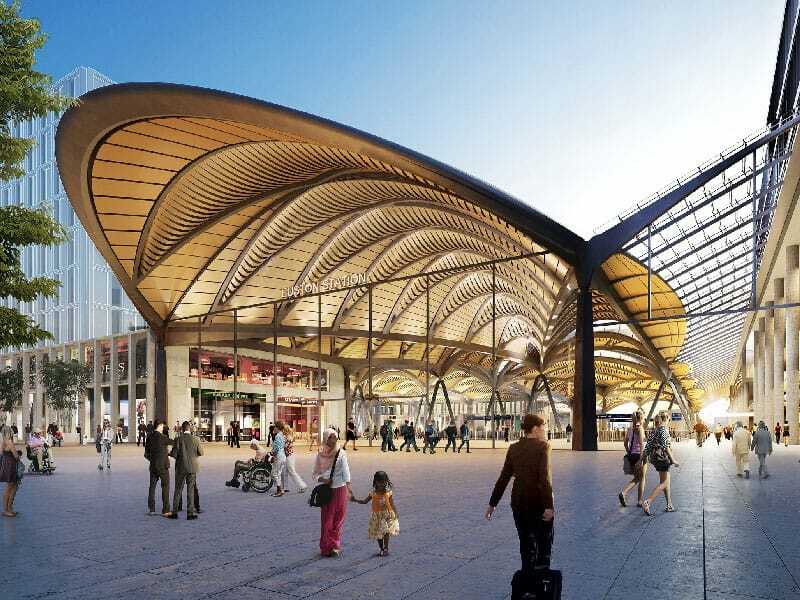 It is one of the UK’s biggest infrastructure projects and BIM is key to its delivery. Dr Sonia Zahiroddiny presented at the 2017 CitA BIM Gathering on HS2’s approach to BIM. Here she tells us about this and more. Sonia, tell us about your PhD, BIM education and how you entered the construction industry from a technology background? My background is in Computer Sciences and Information Systems Management. I entered the world of Rail & Construction when I started my PhD looking at the impacts of BIM on communication patterns of construction projects. Ever since I’ve become passionate to improve information management processes through standardisation, collaboration and better use of technology. What is your opinion of BIM education and training in the UK and how is HS2 ensuring those working on the project have updated knowledge and skills? We are certainly seeing an increase in BIM education programmes, both in the sector and taught at universities. That said, I do believe the marketplace is relatively immature and principally dominated by software training and that we need to do more to utilise CAD applications as more than just an electronic drawing board and ensure the underlying principles of BIM and wider data modelling and management is widely understood. From our perspective, we are fully committed to upskilling not only our employees but also the supply chain and have developed a free to access BIM portal of interactive learning materials and industry guidance. In addition, we have contributed to the National College for High Speed Rail Digital Engineering/ Information Management Curriculum. What is the demand like in the UK for BIM skills? Currently with large infrastructure programmes like HS2 and Thames Tideway BIM and Information Management skills are in high demand. Can you tell us a little about HS2 and its significance for the UK? HS2 will help rebalance the UK economy by connecting eight out of our ten biggest cities, increase rail capacity and reduce journey times, while also creating thousands of jobs across the UK. Describe your role as BIM Strategy Manager on HS2? As part of my role, I’m responsible for the development of HS2’s BIM strategy to deliver our vision for a ‘Virtual Railway’. I am also responsible for setting clear BIM objectives, defining programme wide Employer’s Information Requirements, defining and measuring BIM benefits and ensuring consistent implementation across the programme. I have one eye on the end state and the other on the rapid rise in maturity through design and construction. The Strategy addresses the long-term nature of the project, the rapid development of the railway design and advancements in technology. We captured this under three streams: Leadership; upskilling and future-proofing. Can you tell us about your work with Transport for London prior to working on HS2? Prior to HS2, I worked as part of a capability programme within London Rail & Underground to help the business achieve BIM Level 2 capability. Although my sole responsibility was to manage and deliver the Business Change element of the programme I supported other activities such as developing BIM standards in-line with industry standards, defining BIM requirements and development of appropriate educational material. How has BIM been used on HS2 and how was it introduced? Although the Government mandate was a key driver behind the HS2 board buying into the idea of BIM, they acknowledged that there are clear benefits to be gained. As a result, we have massive expectations on our implementation of BIM and our ability to specify it to our supply chain. To this end, we are the first major infrastructure programme to have undertaken an extensive benefits mapping exercise to demonstrate the benefits that could be achieved through the use of BIM during different stages. These benefits are in line with HS2’s overall objectives. Our benefits register translates into a set of performance indicators, built collaboratively with our supply chain, and which support our contractors to report and adjust their practice to meet our BIM objectives. What are the BIM goals and objectives of the project? We are seeking to create and maintain a digital representation of the railway, a Virtual Railway, to support the production and ongoing maintenance of the physical assets. The Virtual Railway will be created progressively throughout the lifecycle of the railway. What new tools or processes are being tested on this project? We are working closely with our innovation team on a number of state of the art ideas. We also have a couple of research projects under our belt to explore the opportunity of aligning Model-based Systems Engineering (MBSE) and BIM paradigms to drive the siloed and document focused nature of the industry beyond the current Level 2 initiative. What have been your main observations when collaborating on the project? Main observations: clarity around requirements without too much prescription, early engagement and agreement on ways of working and ensuring appropriate systems and processes are set up to make information sharing more efficient. Upskilling and continuous engagement is vital in making BIM implementation a success. In your opinion how do you see BIM changing the delivery of transport projects? Major projects involve so many different areas of engineering, environment and health and safety processes and overlaying this with applications of information modelling and latest technology trends. BIM could enable the creation and access of multi-dimensional views of the information assembled from a variety of sources. This will allow expert and non-expert users to access and analyse aggregated and integrated data in an interactive 3D visual environment. I see BIM as a key enabler to drive the principles of Big Data, Internet of Things (IoT), Smart City and Artificial Intelligence to support a fully digitised industry and more informed decision makings. As more and more advances in technologies take place we need to be able capitalise on these, but this means having the right information in the right format to support it. Your primary degree is in Computer Sciences. Will we see more Computer Science and Information Technology graduates becoming interested in a career in the construction industry as the industry becomes digitised? I personally think the sector could do with more data and information technology specialists. We can learn a lot through cross-industry collaboration bridging the gap between traditional and new ways of working and ensuring we are continuing to invent and innovate. Schools, colleges and universities need to be targeted to ensure the next generation, who have been brought up in a digital environment, help us to build the infrastructure of the future. We need new blood and visionaries to think differently about how we manage design and construction in a digital age. We need to be innovative if we are going to push the industry forward and make those things we currently see as ‘concept’ realities. What were your impressions of the industry when you first started working in it and how do think it will change, based on what we have seen in recent years? Having come from academia with a background in Computer Science, I was quite taken aback with the highly fragmented processes and the lack of macro thinking in joining pockets of the industry together to improve communication. Since then I have noticed a hype in digitising the industry in an attempt to overcome the isolated ways of working and automate processes where possible. To ensure we encourage cross-industry innovation HS2 has set up an external advisory group to ensure feedback is provided on our strategic stance from other thought leaders. What other major UK infrastructure projects will BIM be used on in the coming years? Projects such as Crossrail 2, Thames Tideway, Hinkley C and Heathrow expansion.